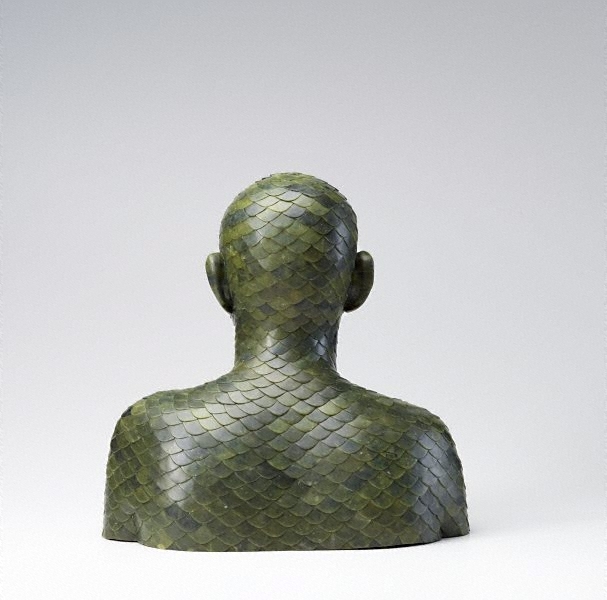 Whilst Ah Xian concedes that he had no conscious concept of the “bust” as a sculptural form until his experiences at the Sydney College of the Arts in 1998, the body as a site of cultural critique has long played a significant part in his work. 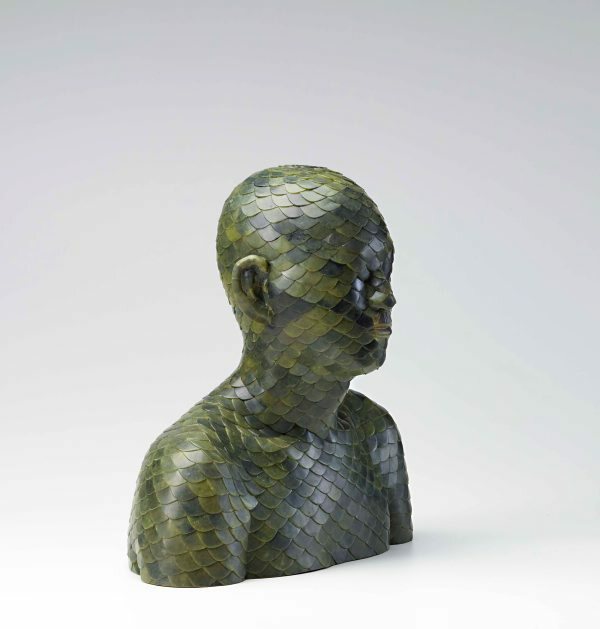 In regard to his earlier work, one commentator remarked that they are a clear expression of Ah Xian’s personal anguish with the brutality of the 1989 events, “His use of the human body in his work is more concerned with the body as fragments rather than the body as whole. The cut is the result of stress on one or more parts in the body.”1. 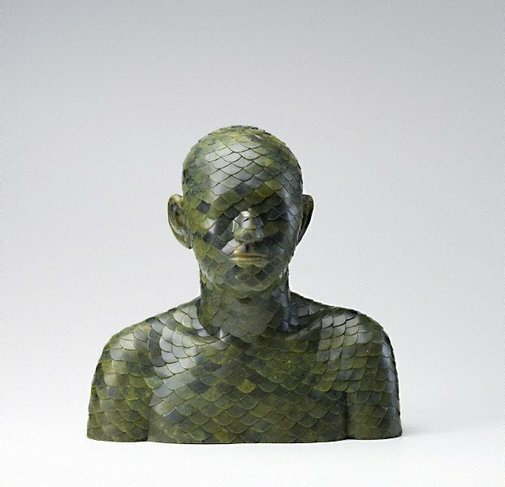 In this sense, the fragmented body in Ah Xian’s work can be understood as an allegory for the collapse of relations between the individual and the nation and one imagines that his feelings of alienation and separation were further exasperated by his immigration from China to Australia. It might be said that China remained a strong point of reference for Ah Xian and that his interest in renewing Chinese decorative forms and motifs in an Australian and contemporary context has been an integral part of a cathartic process for reconnecting with the country. Jade, with its silken sheen, luminous translucency, fascinating texture and changing colours, fleshy polished smoothness, is much more than merely a supreme stone to Chinese people. The culture and philosophy associated with jade, which emerged in prehistoric periods thousands of years ago, have lasted throughout Chinese history. Jade was imbued with magical and protective power in Taoism, an indigenous religion of China. Jade is considered by many to be the nucleus and a hallmark of Chinese civilisation, occupying a pivotal position in the Chinese imagination. The belief that jade can make a person immortal not only led alchemists to create jade powder for consumption, but also the use of jade in burials to prevent the body from decay. 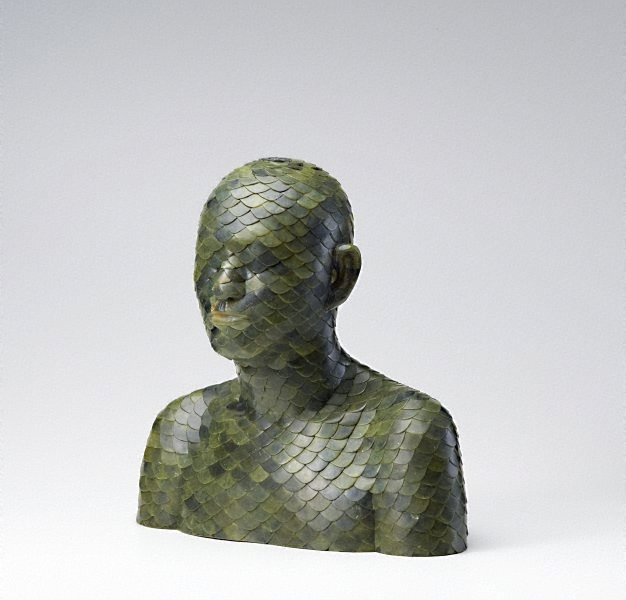 At the height of this belief, during the Han dynasty (206 BCE-220 CE), elaborate jade suits were made from thousands of small finely polished plaques. 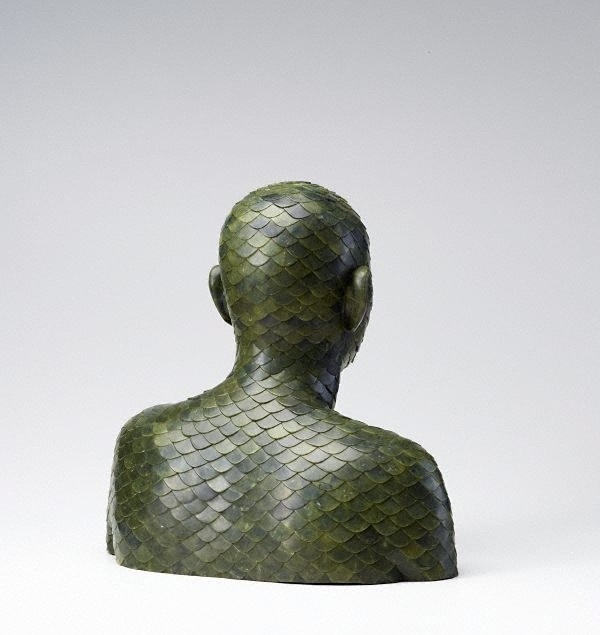 These suits gave Ah Xian the inspiration to produce his jade bust. 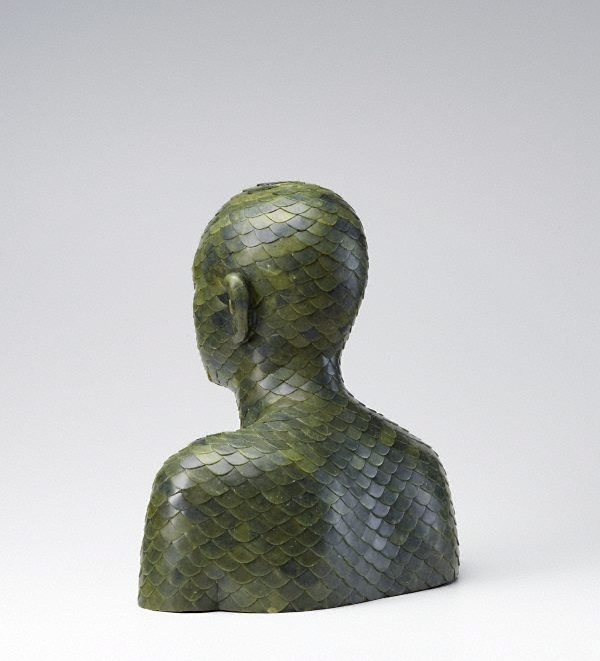 Signed and dated, verso, black marker, "Ah Xian, Human, Human- Jade Inlay Bust 1- Scales. 2002-2003"
Gift of Ah Xian 2014. Donated through the Australian Government's Cultural Gifts Program. Justin Paton, Look , Conversations. A new way to engage with the Gallery's Asian art, pg 22-13, Sydney, Oct 2014, 23. Ah Xian: Skulpturen , Germany, 2007, 84-85 (colour). Ah Xian , Brisbane, 2003, 42 (colour). This is image of the work as exhibited in 2003 before it was altered by the artist into its current iteration.